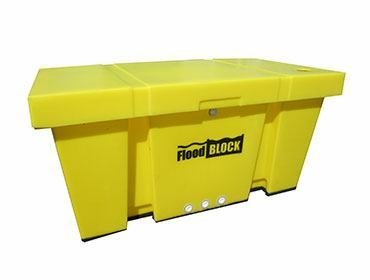 The FloodBlock flood barrier system can be rapidly deployed by one person. The system stacks within itself when not deployed, ensuring the absolute minimum storage. Vandal proof, not affected by strong winds and highly visible. Stacks easily with a small footprint. 25m can be stored on a single pallet. Our FloodBlock barrier provides a proven and effective flood prevention method. The barrier can be assembled to any length and be arranged to suit any direction and opening. The system can be rapidly deployed by one person. The system stacks within itself when not deployed, ensuring the absolute minimum storage. The FloodBlock flood barrier is assembled by connecting up the 1-metre long modular units using the universal key. The keys can be connected into any one of the four sides of the modular unit. 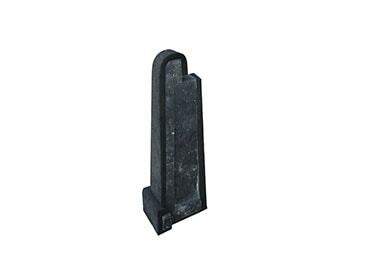 This allows any barrier direction. When in use the majority of the modular units actually fill with the rising flood waters, which combined with the weighted universal keys ensures the assembled flood barrier holds back flood waters. All units and keys incorporate hard-wearing gaskets to ensure sealing. When joining the barrier to a wall or similar a FloodBlock wall connector is used. 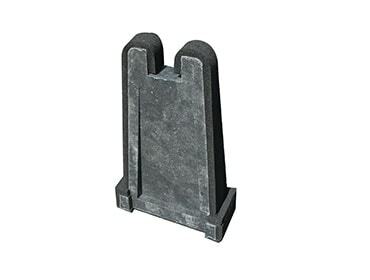 Anti vandalism bracket can be incorporated to prevent the flood barrier from being disbanded by unwanted hands when deployed.